Why does Pope Francis have a special devotion to Our Lady, Undoer of Knots? Pope Francis does have a special devotion to Our Lady, Undoer of Knots. While studying in Germany in the 1980s, he discovered this devotion at the Church of St. Peter am Perlach in Augsburg. In the church, there is a painting from about 1700 that depicts Mary in heaven surrounded by angels. She stands on the crescent moon crushing the head of the serpent, Satan. She holds a long ribbon and is untying a large knot, one of several on the ribbon. "FATHER RONALD, THE NEW BISHOP IS GOING TO NEED A CAR!" During the afternoon of January 20, 2016, Bishop Jason Gordon of the Dioceses of Bridgetown (Barbados) and Kingstown (St.Vincent and the Grenadines) gave me a call with a casual sounding request. We've known each other for about a year. He even stayed at my condo the last time he was visiting his seminarian at St. Meinrad Seminary so I could take him to the airport early in the morning. I have stayed at his house in Barbados on my way to St. Vincent. and back, as I will again on February 17 and 24. We have had lots of e-mail contact since I started going down there. Here is what he said - cleverly sandwiched among other items on our to-do list to discuss. "Father Ronald, the new bishop is going to need a car! Would you see what you can do?" I really like this man! His enthusiasm and faith are breath taking! His dedication is amazing! His optimism is contagious! After the call, I said to myself, "Who does he think I am? A miracle worker? Obviously, he does! Well, I am a Knott and I do believe in miracles, but I am not a miracle worker! However, Bishop Gordon believes in me and I believe in God, so I am going to do what I can even though this seems overwhelming." 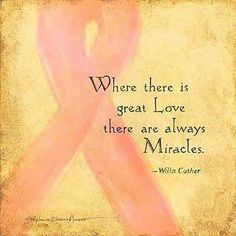 Together with some generous friends, I have already been part of a few minor miracles down there - and one major miracle - but this one is going to be a real test of my faith and determination. As most of you know by now, since I retired, I have been volunteering in Bishop Gordon's diocese in the poor country of St. Vincent in the Grenadines. The people I have met are absolutely wonderful, but the needs of the church down there are many. Read about the country of St. Vincent and the Grenadines. Like Bishop Gordon, the new bishop is a native of Trinidad. Bishop-Elect Gerard County has been a missionary in Mexico for the last several years. He is a member of the Congregation of the Holy Spirit (The Spiritans). Bishop County is taking on one of the poorer dioceses in the Caribbean. Around Christmas, Pope Francis split Bishop Jason Gordon's responsibility for two dioceses in two. Bishop Gordon will stay in Barbados and Bishop County will oversee St. Vincent and the Grenadines. The former arrangement made it very difficult for Bishop Gordon to focus fully on either diocese because they were in two different countries. Long term, the situation appeared untenable. Now each bishop will be able to give his individual diocese the attention it deserves. While I am down there on my upcoming third trip, Bishop County will be ordained bishop on February 20th. He will be wearing a new white bishop's mitre (pointed hat) and chasuable (vestment) that a friend of mine purchased through the R J MISSION PROJECTS fund that another friend and I set up for such purposes. Here's the situation! Bishop County needs a car with an automatic shift. Just as I would be, he is overwhelmed by the thought of driving a stick shift around his new diocese. I know I couldn't drive a stick shift down there even though I learned to drive on one! For that matter, I couldn't drive down there even with an automatic shift! Sitting in the front seat on the left side of the car as a passenger is scary enough for me! Down there, they drive on the left, the roads in many places are rough, narrow and winding compared to here, the street signs are confusing - even non-existent in some places- and there aren't many street lights outside downtown Kingstown. When I am down there, I need a driver. In meeting this need of the new bishop, Bishop Gordon has suggested a shuffle of some of the older cars between a few of the priests and getting a new car, with automatic shift, for Bishop County. The only problem is that they are "one car short in the fleet," as Bishop Gordon so casually put it. He is also very humorous in an understated kind of way. Even with a church discount on the steep import taxes, this miracle comes with a $45,000 price tag. GET ON YOUR KNEES AND START PRAYING! WHEN GOD ANSWERS, CALL ME IMMEDIATELY! In the meantime, instead of just sitting around waiting, I guess I can start selling my blood, buying lottery tickets and lighting some candles! If this miracle comes through, I am going to start going to church - even more so! All the parts of the body, though many, are one body. I know I am “getting up there” in age, but I am not one to look back at some by-gone day as better than today. I don’t want to go back to any previous time. However, there is one thing that worries me to death and that it the rise of meanness – meanness in families, meanness in entertainment, meanness in driving, meanness in religion and especially meanness in politics. We seem to be turning against each other as a people more than on the problems we face together. It takes my breath away when I see it on TV, read on blogs and hear it coming out of people’s everyday talk. I can't stand today's political rhetoric! The world must be thinking we are all nut cases! It seems to me that people are fundamentally afraid of almost everybody else – other races, other cultures, other religions, other people’s opinions, their neighbors and even their family members. As a result of all this fear, it seems that we have entered a time of “every dog for himself” that is resulting in a growing attitude of people who think and act as if they live on this planet by themselves. More people, it seems, are displaying a total disregard for how their behaviors affect other people, displaying an attitude of “I am going to do what I want and I don’t give a hoot how it affects you or anybody else”? Recently I find my anger level hitting the boiling point when I see people throw garbage out of their car windows, roll down their car windows and turn their car speakers up so loud it that it rattles the windows of my house, carrying on loud cell phone conversations in public places, say anything they want on social media and political commercials, let ting children run wild in grocery stores and restaurants, trashing public facilities and vandalizing public art, just to name a few. This excessive individualism is, no doubt, a reaction to an over-emphasis on the common good, when individuals felt crushed and controlled. It’s the age old story of running off both sides of the road, trying to balance the good of the community with the good of the individual. This is a very old problem. It goes all the way back to the story of Adam and Eve. According to that story, at the end of creation God, humans and the animals lived in harmony – interconnected and interdependent. As a colorful Baptist preacher said at one of my graduations, “In the beginning, God was happy being God. The animals were happy being animals. Human beings, however, were not happy being human beings. They wanted t be God one day and animals the next!” Adam and Eve were tempted to believe they could do without God. The snake says to Eve, "Oh, don't listen to God. God knows well that when you eat of the forbidden tree your eyes will be opened and you will be like gods yourselves!" Their children, Cain and Abel, were tempted to believe that they could do without each other. “Am I my brother’s keeper?” With this, we see the sin of denying our interdependence begin, a sin that has been repeated in a myriad of ways ever since. Interdependence is the recognition that we are responsible to and dependent on others. To deny it is a sin. Interdependence recognizes the truth of our dependence and independence and weaves them together in a delicate balance. The scriptures are full of stories emphasizing our interdependence. Saint Paul has several examples of our interdependence. “I planted, Apollos watered, but God caused the growth.” “Everything is lawful, but not everything builds up. No one should seek his own advantage, but that of his neighbor.” “Avoid giving offense, whether to Jews or Greeks or the church of God, just as I try to please everyone in every way, not seeking my own benefit but rather that of the many, that they may be saved.” “As a body is one though it has many parts, and all the parts of the body, through many, are one body. Now the body is not a single part, but many. If one part suffers, all the parts suffer with it; if one part is honored, all the parts share its joy.” No part of the body can say to another part I don’t need you! This is a timely message for our country and our church. In both worlds, there is a meanness and a “them versus us” kind of attitude that make enemies, winners and losers, rather than partners of each other. We have even found out recently that we cannot even do without the immigrants who pick our vegetables, clean our hotel rooms, roof our houses, landscape our lawns, nanny our children and dig our ditches. We have found out that we cannot do without Middle Eastern oil or clothes from China. We have found out that we cannot do without people in places like India when we try to get our credit card bills straightened out or our computers fixed. We are finding out that we cannot even keep our parishes going without priests from Africa, Poland and Central America. We are not as independent as we think we are. In fact, we are becoming more interdependent than ever, thanks to modern communication and travel. Going into my retirement, I was aware that there were two avenues. I could move to Florida, learn to play golf, eat out, sleep late, putter around my house and pamper myself in a hundred ways with the belief that I had earned the right to be selfish. I also realized that this could be a time to become even more “other focused.” I am choosing to be “other focused.” I am working for, and in, the foreign missions. I simply remembered the fundamental Martin Luther King Jr’s insight. “Life’s most persistent and urgent question is, ‘What are you doing for others?’ I remembered today’s second reading. All the parts of the body, though many, are one body. If one part suffers, all the parts suffer with it; If one part is honored, all the parts share its joy.” I knew I could not separate myself from the rest of human kind. I am, and will forever be, connected and responsible. At this age, if I had to choose between the safety of boredom or the uncertainty of adventure, I would choose adventure anytime. I would rather die going through the heat, discomfort and risk of helping others in real need than die in the comfort of a recliner parked in front of my TV pampering myself. I realize there is a difference between being foolhardy and being courageous. Going over Niagara Falls in a barrel is foolhardy. Traveling to the foreign missions by oneself with a blood clot history is courageous. Sure, a lot of things can go wrong, but I take precautions like investing in a “medical evacuation policy.” In reality, I am sort of proud of myself and I understand that such a risk is a benefit of being single and being single has its unique responsibilities. A priest is a "man for others," retired or not! No, what I am doing will not change the world, but it might change a couple of people’s world. Even if that were not true, it is certainly changing my world.